NOAA Ocracoke Inlet, StationId: TEC2793 This tide station is 60 miles away as the bird flies. 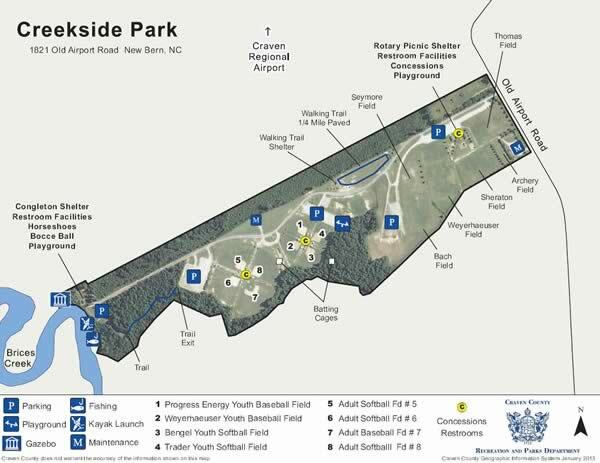 The Brices Creek boat ramp is located within the Croatan National Forest and offers; 15 boat trailer parking spots, picnic area, restrooms ( vault ) and fishing dock / pier. Located on the Neuse River the Bridgeton ramp offers; Single launching lane, courtesy dock and 20 boat trailer parking spots. The Cahooque Creek Recreation Site Boat Ramp is located in the Croatan National Forest and offers; single lane ramp, courtesy dock, parking for 25 boat trailers & restrooms. Watch low tide when the wind is from the southwest at this location. Cahooque Creek boat ramp is located where the Hancock Creek and Cahooque Creek converge before flowing into the Neuse River. The spot offers fishing, boating, kayaking and bird watching. They say a fishing pier is on site now. The Cool Springs boat ramp offers; 2 launching lanes, courtesy docks, 13 trailers spaces & 1 handicap trailer space. The Glen Burnie Park boat ramp offers; 2 launching lanes, courtesy docks, there are restrooms at the main area of the park, these may not be open all the time. Ramp area #1 has 3 launching lanes with courtesy docks. Ramp area #2 has 2 launching lanes with a courtesy dock. The park has restrooms and a picnic pavilion. Entrance to ramp area is 300' south/east on Church Road from the above intersection. The Slocum Creek boat ramp offfers; Single lane ramp, courtesy dock and parking for about 15 boat trailers. The Union Point Park boat ramp sits along the Neuse River and offers; 2 launching lanes, courtesy dock, 8 paved boat trailer parking spaces and restrooms. 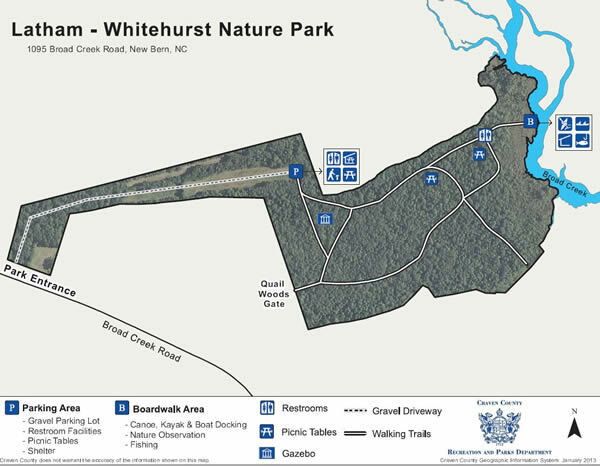 The Latham Whitehurst hand launch area offers; Restrooms, picnic shelter and picnic tables.